You should check ram capacity before installing any operating system so that your computer runs smoothly. ram becomes your temporary storage to restore your operating system and other programs. sometimes happens your computer may be going slow. it becomes because you have crossed your ram limit. you must always check your ram space to run any software perfectly. 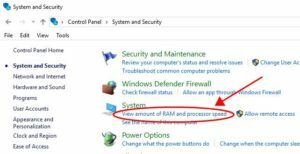 if you want to know how to check ram within a second then follow this article. Before you know how to check ram, you should have proper knowledge about RAM. RAM stands for ‘Random Access Memory’. As per name RAM saved sort information while a programme is running. it only stored information while your device is on. when you turn off your device, RAM will lose all information that restores recently. There are two types of RAM available in the market. first, Dynamic Random Access Memory and Static Random Access Memory. Your computer performance depends on RAM Capacity. if you RAM space is more then your computer runs fastly. 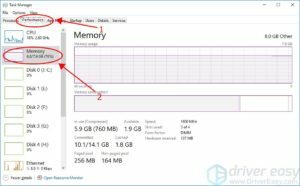 you can boost up your computer speed by increasing RAM. 3. you can get all information about RAM and other information. 1) Press the Ctrl key, Shift key, and Esc key at the same time to open Task Manager. 2) Click Performance then Memory tab and you will see how much ram is used and how much left. Type Control Panel after got it, open it. Open System and Security from Category. 3. Open View amount of RAM and processor speed in the System section. 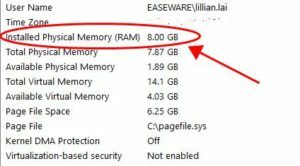 4. you can check RAM Information in Installed Memory in system section. you can see information about RAM that you want. those are all possibles methods to check ram. if you think you have enough RAM for computer performance but your pc is still slow then you should update your drivers. corrupted drivers may be slow your performance. 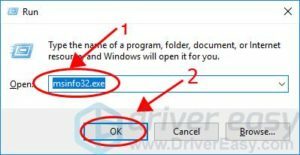 it is necessary to have the latest drivers installed on your computer.